2 Bedroom Flat For Sale in Warwickshire for Offers in excess of £250,000. 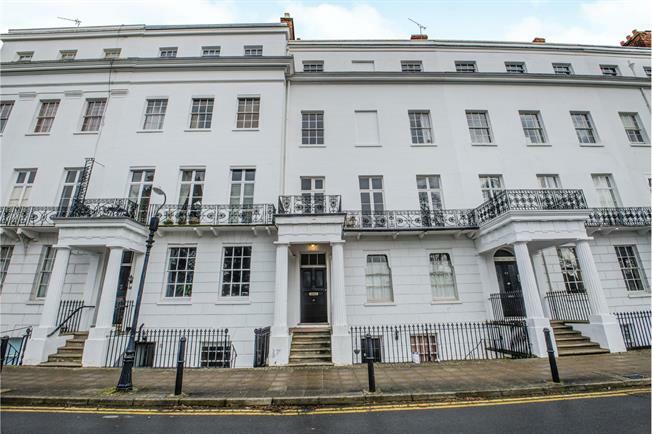 A beautifully presented Grade II listed, two bedroom third floor apartment, located in Clarendon Square, benefiting from having a generous open plan kitchen dining living room and allocated car parking to the rear. The accommodation comprises a communal entrance with stairs rising to the upper levels, entrance hallway, living room with feature fireplace which opens up into the spacious kitchen and utility space. There are two bedrooms and bathroom with roll top bath. With a secure front door with intercom service and stairs rising to the upper levels. With doors leading to the open plan kitchen dining living room, both bedrooms and bathroom. With window to front, feature fire place, radiator, spotlights and opens up into the kitchen. Fitted with range of eye and base level units offering worktop space, incorporating a sink with mixer tap and drainer. Integrated four ring gas hob with overhead extractor, oven and fridge freezer. Space and plumbing for dishwasher. Radiator, wooden flooring, part tiled walls, window to front and access to utility area. Fitted with a three piece white bathroom suite comprising roll top bath, low level wc and pedestal wash hand basin. Radiator, wooden flooring and part tiled walls. One allocated car parking space to the rear.